As a teacher, and now a mother, and now a mother considering homeschooling, I try to let my kids explore learning on their terms. Since I've started considering homeschooling, I've been pondering how to support my kids as they explore their passions. 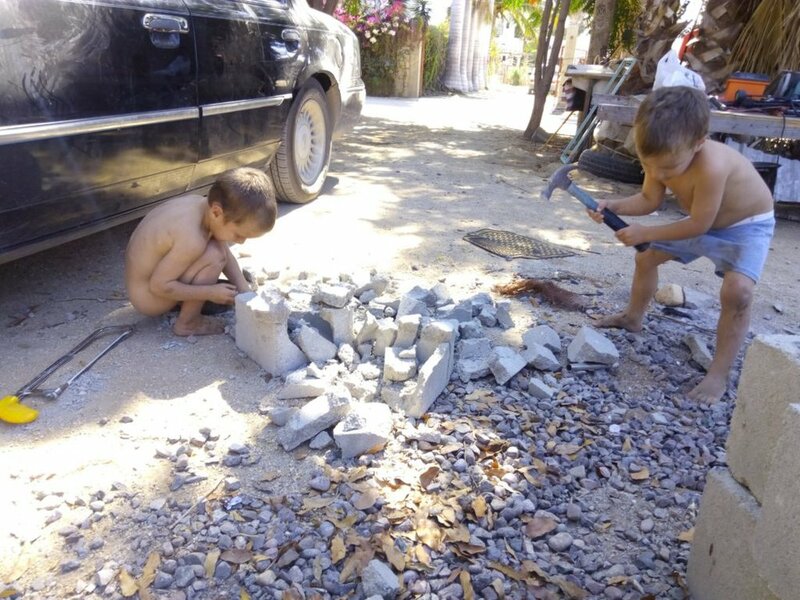 Since their dad is a mason, they're fascinated by all things masonry: block, cement, building. 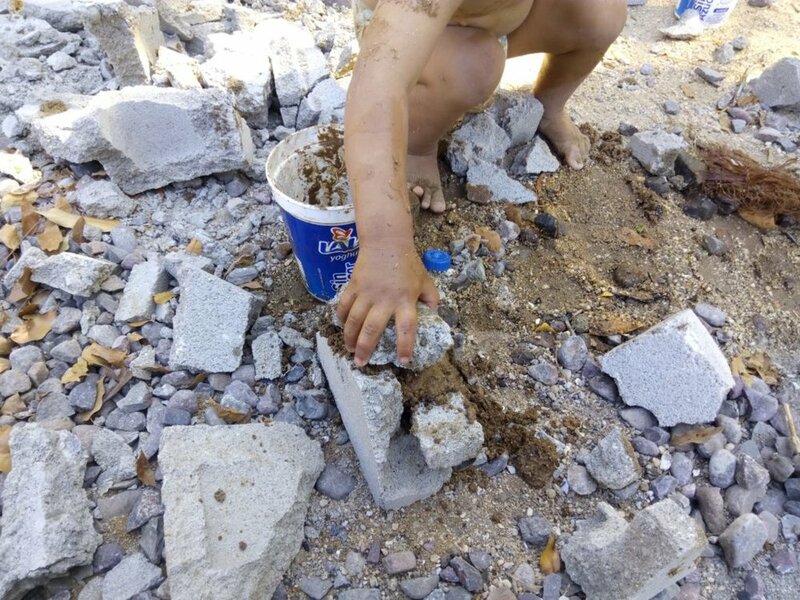 They spend a lot of time around construction sites and construction materials. They see the albañiles breaking block with a hammer to fit into a specific space. So naturally they wanted to try it. They see the crew adding water to gravel, sand, and cement to make a mezcla, so naturally they wanted to try that. And they see the men laying cement on block and pegando block, so they explored that. I'm convinced people learn best when they're focused. And I know from my own life that I focus on what I'm interested in. It can't come from outside of me. I either learn a technique as a tool to get to a desired end, or I'm fascinated by something and I want to figure out how it works. I don't know what my kids will learn over the course of their life. But I can help feed their passions right now. Child-led learning. Encouraging your kids' passions.